David Bordwell and Kristin Thompson are two of America’s preeminent film scholars. You would be hard pressed to find a serious student of the cinema who hasn’t spent at least a few hours huddled with their seminal introduction to the field—Film Art, now in its ninth edition—or a cable television junkie unaware that the Independent Film Channel sagely christened them the “Critics of the Naughts.” Since launching their blog Observations on Film Art in 2006, the two have added web virtuosos to their growing list of accolades, pitching unconventional long-form pieces engaged with film artistry that have helped to redefine cinematic storytelling for a new age and audience. Minding Movies presents a selection from over three hundred essays on genre movies, art films, animation, and the business of Hollywood that have graced Bordwell and Thompson’s blog. 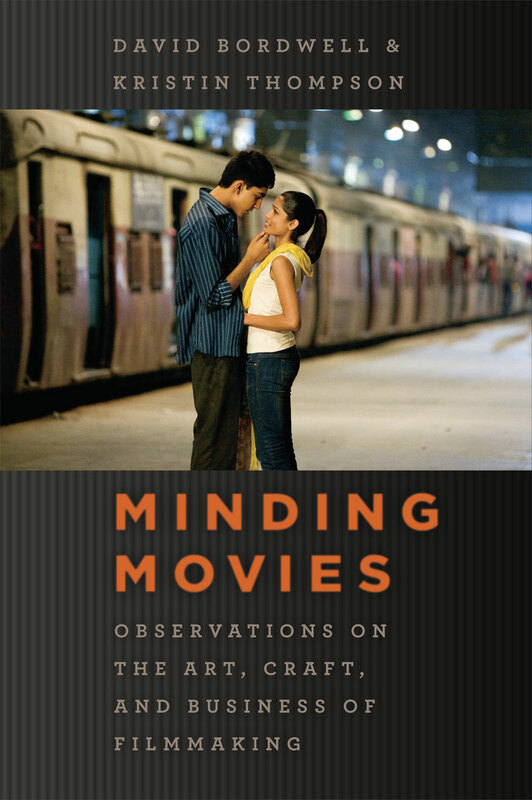 Informal pieces, conversational in tone but grounded in three decades of authoritative research, the essays gathered here range from in-depth analyses of individual films such as Slumdog Millionaire and Inglourious Basterds to adjustments of Hollywood media claims and forays into cinematic humor. For Bordwell and Thompson, the most fruitful place to begin is how movies are made, how they work, and how they work on us. Written for film lovers, these essays—on topics ranging from Borat to blockbusters and back again—will delight current fans and gain new enthusiasts. Serious but not solemn, vibrantly informative without condescension, and above all illuminating reading, Minding Movies offers ideas sure to set film lovers thinking—and keep them returning to the silver screen. "The Web and HTML have been a godsend for film criticism. The best single film criticism site is arguably davidbordwell.net, featuring the Good Doctor Bordwell and his wife Kristin Thompson. Their names are known from their textbooks, studied in every film school in the world. But they are not users of the obscurantist gobbledygook employed by academics who, frankly, cannot really write. They communicate in prose as clear as running water." "The husband-wife team of film critics and scholars teach at the University of Wisconsin, publish books, maintain an indispensable and routinely astonishing blog, and lecture regularly at film festivals around the world. . . . Between their books and their blog, Bordwell and Thompson publish more original, engrossing, often startling work in a year than most critics manage in a lifetime." "Since its launch in September 2006, ’Observations on Film Art’ certainly stands as the most robust and active online home of any film-studies academic. Posting individual entries in roughly equal measure, Bordwell and Thompson have taken to the online world’s characteristically more relaxed and informal mode of address. What makes their site an essential stop is that both are fine aesthetic observers as well as scholars, and they write the equivalent of full-fledged publishable essays, usually with plentiful and carefully placed frame enlargements. And the writing is anything but ephemeral."